Wash and dice the peppers, do the same with the onion, cut the mushrooms in half. Assemble the brochettes, alternating the ingredients. 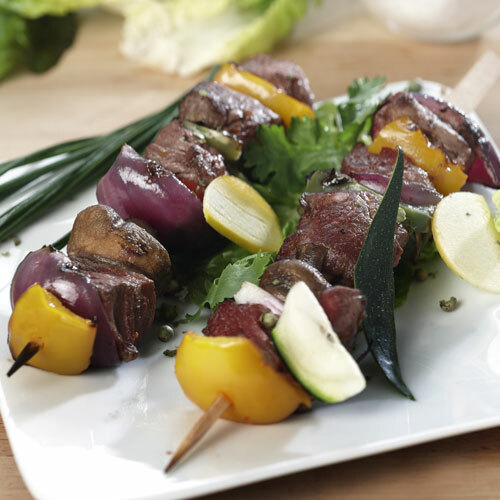 Marinate the brochettes in a dish, with a little olive oil and a pinch of Espelette pepper. To cook the brochettes: Heat the grill.